I have loved books for as long as I can remember. In fact, if you visit my mother's house, you'll see a picture of me on the wall, aged 3, hugging a book tightly with a blissful expression on my face. Not much has changed. If you visit my own house now, you will leave with the general impression of your average apartment... hidden somewhere under a huge mountain of books. This, to me, is home. For awhile I was lucky enough to review books for Press+1, an online arts and entertainment website. It was fantastic - not only because it was a great opportunity to work with a wonderful, smart and talented group of people, but because I got FREE BOOKS! When you're a student and a bibliophile, this is the dream. After awhile, however, I started wishing I could share some of my favourites that weren't brand new, as well as the new favourites I discovered while writing for the site. 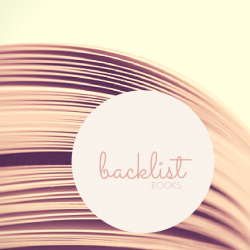 So I decided to embark on a new book project - my very own book blog where I could share reviews of some oldies as well as the new releases, talk about books, share inspiring links and photos and just generally indulge my bibliophilia! Welcome to my bookish world!